The Guinness Brewery also known as the Guinness Storehouse in Dublin. 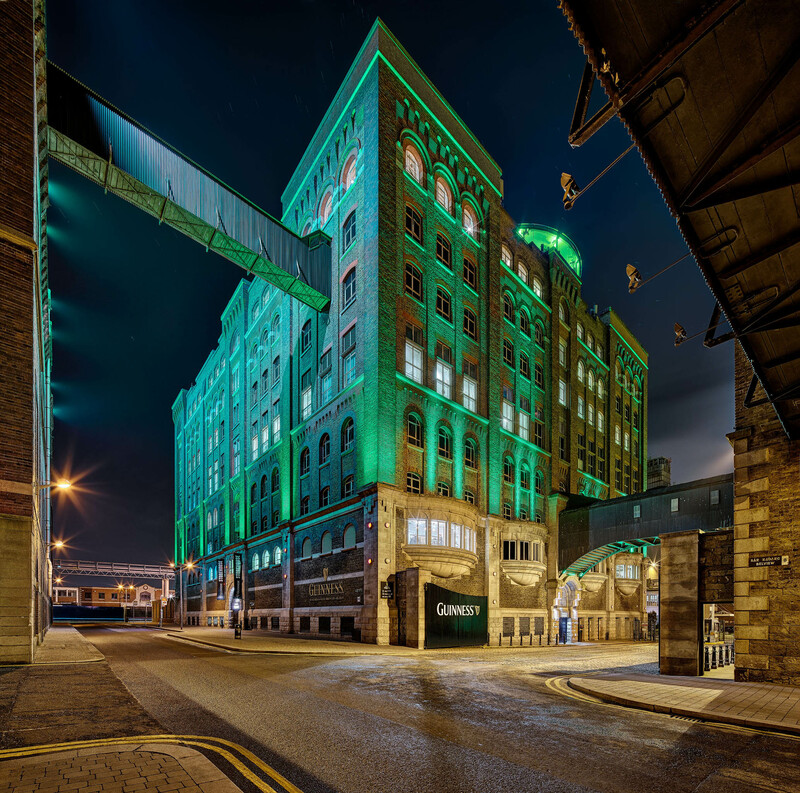 The Guinness Storehouse in Dublin also known as the Guinness Brewery, flooded in a green light to celebrate the Saint Patrick’s Festival. Each year the folks in the Guinness Storehouse celebrate everything that is Irish during their busiest time of the entire year. I was commissioned by Diageo to photograph the building as part of their marketing campaign in the lead up to the festival. The photo was part of my winning panel of photos for IPPVA Commercial Photographer of the Year 2018.